At the base of the great Rocky mountains, VAN HØF was formed by a couple of talented dreamers hustling for a big break. The band is lead by Travis Van Hoff, the greatest vocalist this side of the milky way. He couldn’t do it without his beasty bassist, Steele Saldutti, and ace drummer, Matt Wilson. Their music has captured the attention of an expansive audience inspired by the alternative rock and melodic pop influences. VAN HØF has performed on stages across the country and on multiple tours from LA to Nashville to New York City. These shows have included both headlining and support slots for reputable acts including Portugal the Man, The Avett Brothers, Cold War Kids and many more. The VAN HØF dudes are an experienced and hard-working bunch trying to do some good on their way to the top. They have made many friends who have helped them along the way and for this they are forever grateful. 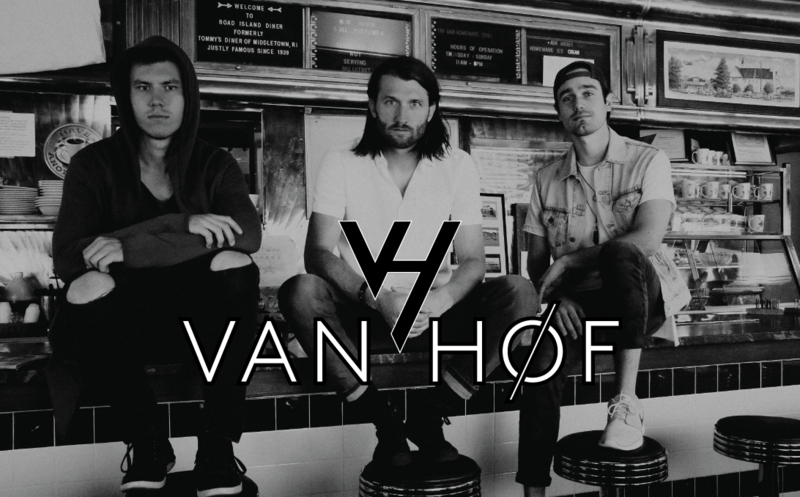 Formerly VanLadyLove, VAN HØF was rebranded in 2017 as the band transitioned their lineup, strategies, and goals… It’s time to write a new story!